Winter is coming, and with it come shorter days, longer nights, overall much colder temperatures. If you find yourself feeling chilly during the winter, one way to keep yourself warm – and add a little aesthetic value to your home – is with a brand new gas fireplace! There are a lot of reasons why you should consider adding a gas fireplace to your home this winter. Take a look at a few of our top reasons why gas fireplaces are a great addition! Gas pipes are easy to install to vent your gas-burning fireplace. Unlike installing a new wood-burning stove or traditional fireplace, you don’t have to install a whole new chimney for a gas fireplace as they don’t require a standard chimney to vent. The only thing you might need to install is a small vent pipe, which is a fraction of the cost and installation of adding a whole new chimney. If you have a family with small kids or you’re entertaining guests, a great benefit to a gas fireplace is spot heating. If the kids are cold after coming in from sledding, they can come in and quickly stand in front of the hot fireplace to regain a little feeling. Or if you’re chilly while entertaining company, you can fire up your fireplace! Add a little extra heat to any room of your home with a new gas fireplace. Even if the power is out, your gas fireplace will still work. That means that even if a serious snow or ice storm causes a blackout, you’ll still be able to light up the fire and keep the family comfortable until the power returns. Most fireplaces add a certain quality to a living room. They usually open up a room and make it feel a little bit bigger than it really is. Adding a fireplace can add a little something to the overall design and feel of a room. Plus, by adding a new fireplace, you can add appeal to your home and even increase the resale value – a double benefit if you’re looking to list your home! 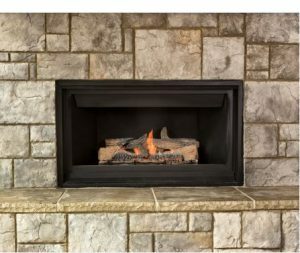 Learn more about the benefits of a gas fireplace or discuss having one installed with the experts at Brookside Hearth & Patio today. Give us a call at 570-424-7250 to schedule an appointment to learn more today.